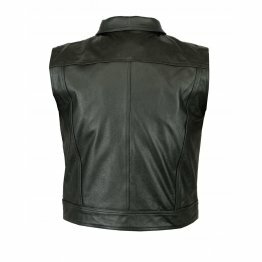 Are you looking for leather motorcycle vests for men? 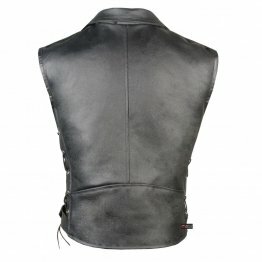 Then do not get impatient as there is an extensive range of men’s leather vests in different styles and fits. 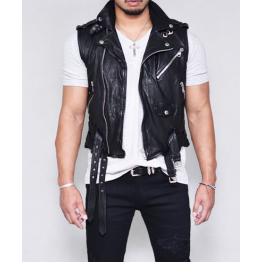 Whether you are looking for a new biker vest or leather vest mens to spice up your outfit, there is everything that one can wish for. 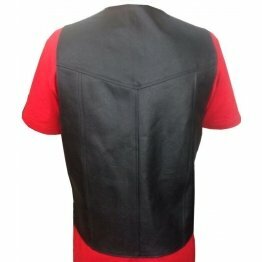 The stores have leather vests made of the highest quality leather from all the celebrity brands. 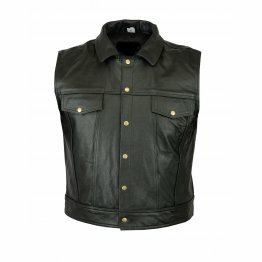 There is a wide range of leather vests from genuine buffalo calf leather vests to black leather biker jackets. 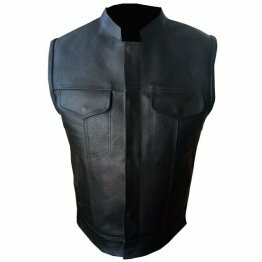 There is a whole collection of leather vests which you can match with boots and men’s jeans for a classic cowboy look. Why worry, you can strap the leather chaps and go for a spin on the Harley. 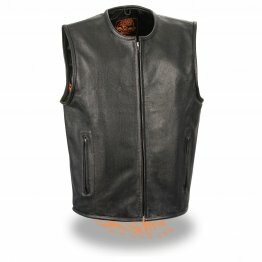 ZippiLeather provide leather vests at cost-effective prices so why waste time going elsewhere? 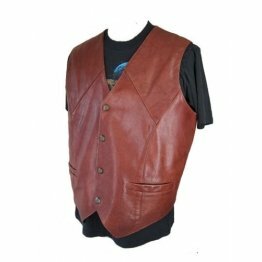 The leather vest with ten pockets has a concealed pocket inside, 4 button closure in front, adjustable side laces and ten pockets. It is constructed of premium leather. 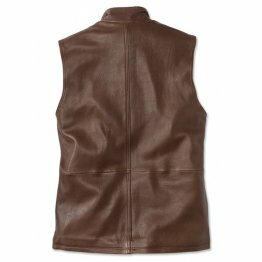 Leather vest mens has a holster pocket built-in on left hand side. On the left side in the interior is a vertical gun pocket with snap button closure. The side laces can provide an adjustable fit. There is a back panel of solid leather which is ideal for embroidery of club patches. The leather jacket has brass tone hardware. The pockets on the exterior include two hand pockets with zippers and two pouch pockets which are hidden. There is one snap button pocket on the right and on the left one pocket for cellphone with Velcro besides 1 pouch pocket on the right. 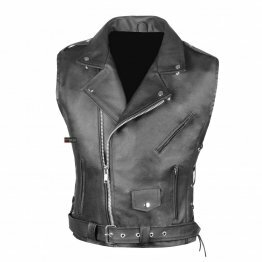 A biker leather club vest helps you to look stylish while protecting you from impact. 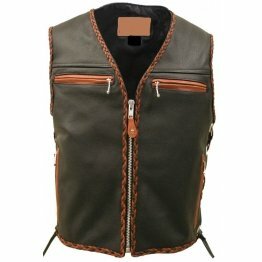 There is a wide variety of concealed leather vests for men which provide a casual and comfortable way to bear arms. 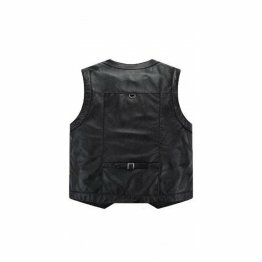 Whoever you are, a biker or a motorcyclist or a civilian who wants to protect himself the biker vest with concealed pockets is a good solution. There are different brands and styles from which you can find one to meet your requirements. 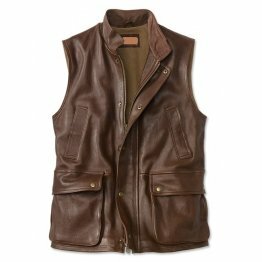 No Rival Buffalo skin vest is the perfect solution for men who want to carry a gun. It has two concealed gun pockets made of special nylon with built-in holsters with snap closure. The back has a single panel which is ideal for artwork which is airbrushed, patches or embroidery. It is designed with smart fit with ample length. It has a zipper closure in front with hidden snap closure. 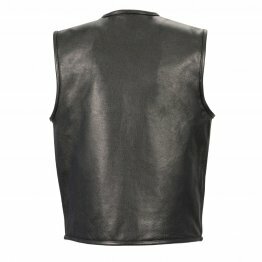 The leather vest mens has black lining of polyester which is heavy duty and will last a long time. A cell-phone pocket is also there where you can securely place your phone. This comes with a two year warranty. 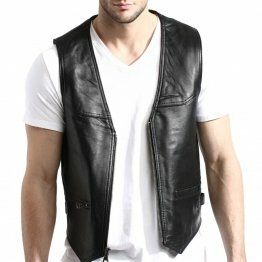 Do you want to Sport a Cowboy Look with Biker Leather Vest? 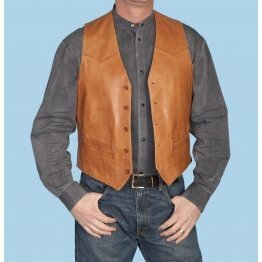 There is just the vest for a cowboy crafted from premium leather. 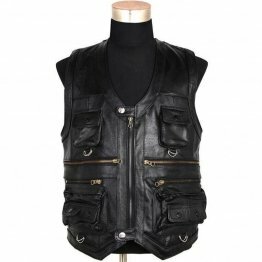 It is an all men’s leather vest with western yoke in front and back with acetate lining. It has two pockets in front with bottom closures and is available in black and chocolate. It is very good for the price. 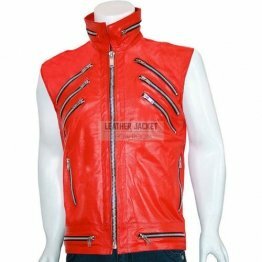 This vest can be ordered online if it meets your requirements. 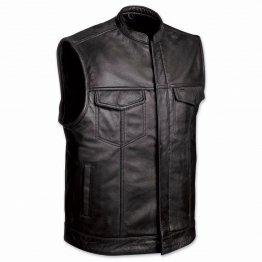 There are others which may interest you like a black buffalo side lace vest, scully men’s lambskin snap front vest and men’s motorcycle vest of genuine soft leather. Some of these stores have been selling vests for the last 100 years. 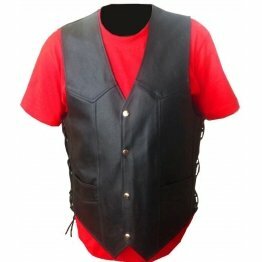 There are a few stores that provide the highest quality of outlaw biker vests from denim to premium leather. They are designed for bikers who like quality and are meticulous about every detail. There is a wide range of cut vests from denim to premium leather and patches from which you can pick up one that you fancy. 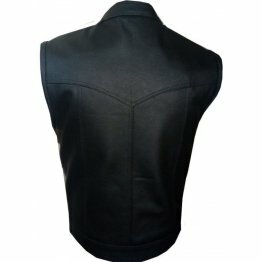 The ZippiLeather store can also put together a custom version that you want which will be unique for you. You can pick up the patches and the vest and note down where you like the patches and the position you want them stitched. There are also reaper vests available with single piece panel at the back for sewing club colors. The outlaw panel has one piece back panel which makes leather vest mens easier to stitch the club colors. If you are a biker who wants to join the outlaw club you can pick one of these vests and get the club color stitched.